WHAT IS IT? A high-quality fork seal and dust wiper kit that lasts longer than any stock or aftermarket fork seal. CONTACT? innteck-USA.com or (866) 252-8772 or your local dealer. WHAT STANDS OUT? Here’s a list of things that stand out with SKF fork seals and dust wipers. (2) Usage. The MXA wrecking crew races seven bikes every weekend and when you add in the midweek test days, we have a lot of experience with fork seals. And, by the very nature of the beast, all experience with fork seals is bad, because when they don’t leak you don’t think about them. (3) Experience. A motocross fork lives in a dirty environment. Even worse, it has to endure a very long stroke at high shaft speeds with instantaneous direction changes. When you add the side loads, contamination and migration of particles to the picture, it is amazing that any seal can live up to the demands of motocross. And most don’t. At any given time one or two of MXA’s fleet of test bikes has a leaker. Our experience revealed to us that Showa seals were most likely to leak, Kayaba second most likely and WP the least likely. Why? Because KTM’s WP forks come stock with SKF fork seals. As a test, we started fixing every leaker with replacement SKF forks seals. The results were promising. The SKF fork seals seemed to have double the life of the stock OEM seals. (4) Static friction. 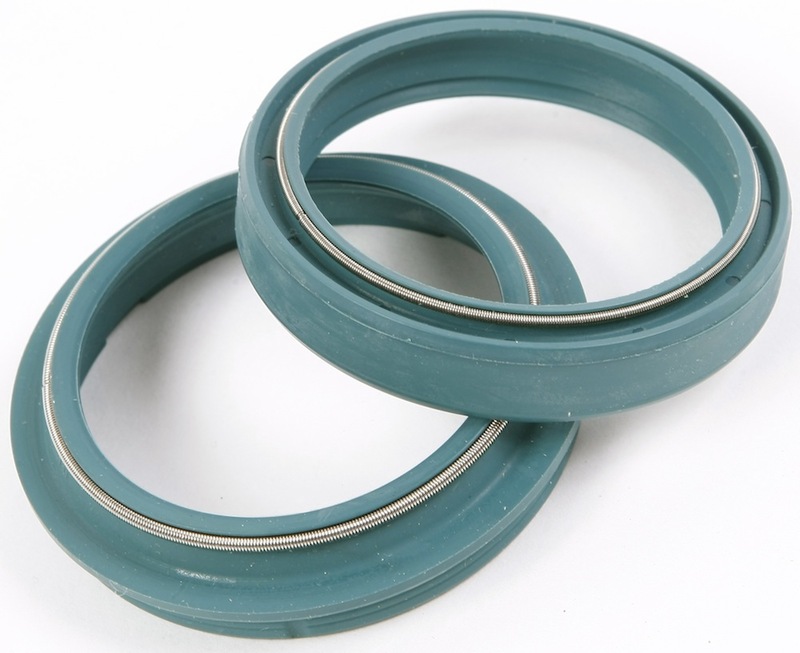 SKF seal kits consist of a new oil seal and a new dust wiper. SKF’s self-lubricating rubber compound not only enables them to keep the oil in, but to reduce static friction (stiction) by a significant amount. Less stiction means that the fork moves more accurately over small bumps and light loads–when stiction is at its greatest. (5) Durability. In MXA’s opinion, modern fork seals are lightyears better than seals from a few years ago. 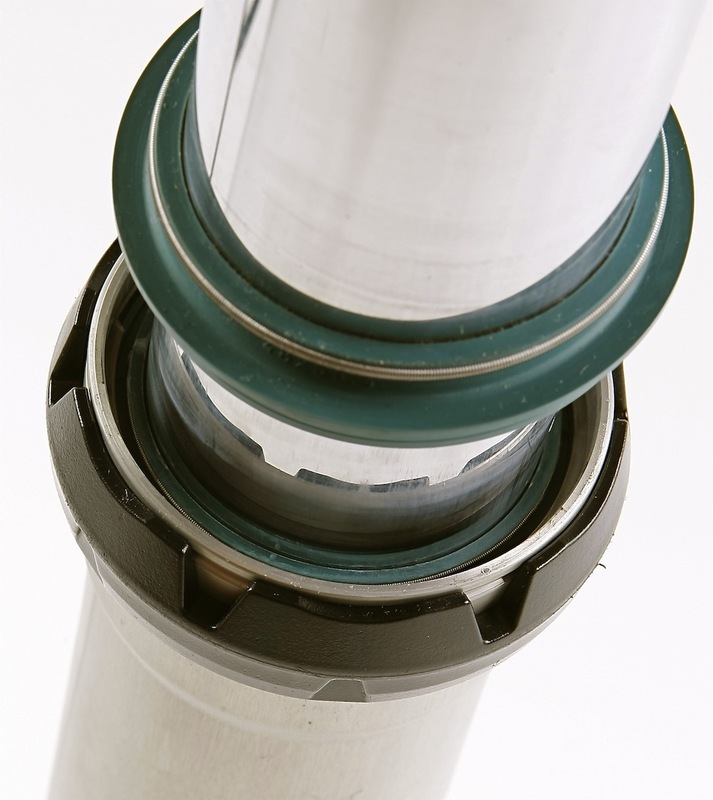 It is highly likely that a 2015-era fork seal would never leak or wear out if dirt wasn’t introduced into the equation–which is why SKF insists on installing a new dust wiper every time you replace a seal. It’s not a matter of keeping the oil in, as much as the dirt out. Sadly, a large percentage of leaking fork seals are caused by nicks in the chrome forks legs, nicks that are caused by the front wheel of the bike throwing debris. Even the best forks seals can’t avoid getting torn by a nick. You need to learn to find nicks, by feel, and burnish them off with 600 grit sand paper before they tear the rubber. WHAT’S THE SQUAWK? Price. 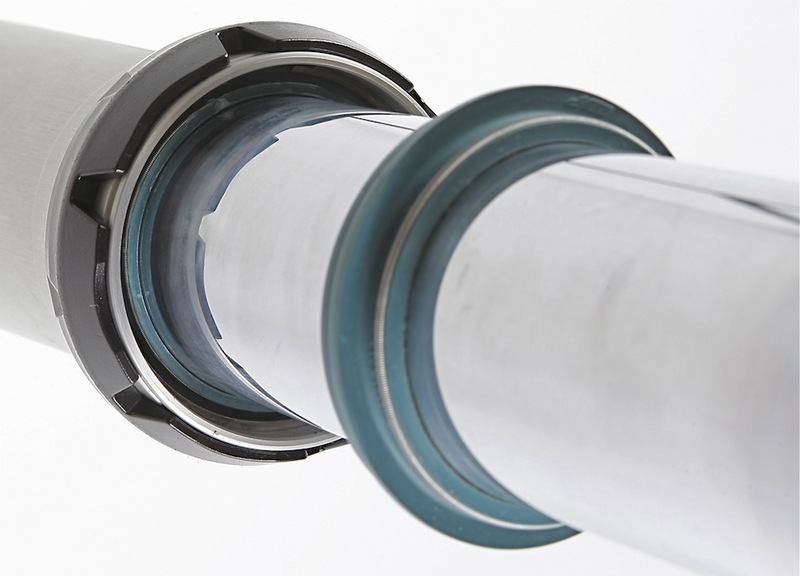 SKF fork seals cost more than most aftermarket seals, although the price includes a new dust seal. Given the cost of replacing forks seals, the price of a seal that last twice as long is worth it. The added performance gained by the reduction in stiction is icing on the cake. The cake itself is almost double the fork seal life (if a ding doesn’t get it first). Great seals.